Nestled on the “Gold Coast” of Waikiki – and Framed by the Towering Magnificence of World-Famous Diamond Head and the Lush Tropical Greenery of Beautiful Kapiolani Park – awaits a Tropical Treasure for the Seasoned Traveler seeking an Island Getaway with Full-service amenities you’d expect from a 3-diamond award-winning property…Welcome to the Sunset. 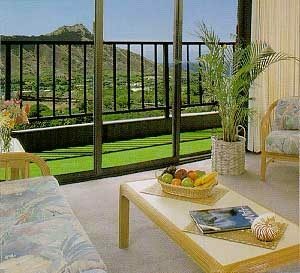 In a Spectacular Oceanview & Diamond Head Setting, you’ll truly feel at home in your own Spacious 1 or 2-Bedroom Deluxe Hawaii Condo Vacation Rental – Popular with Repeat Clientele and Local Island Residents – Ideally located hear the Emerald-Blue Waters of the Pacific. Marvel at the Breathtaking Views of the Ocean, Diamond Head and Cool Koolau Mountains while lounging on your Own Private Lanai. 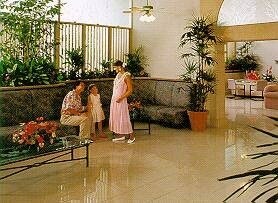 Additional Appointments of your Island Condominium Getaway feature Fully-equipped Kitchens, Color-Cable TV/VCR’s, Central AC and in-suite safes. For your Added Vacation Pleasure, take a Refreshing dip in our Pool , relax in the Jacuzzi or Sauna, Play a couple sets of Tennis on our Lighted Courts … then prepare your ‘Fresh Catch’ on our Gas BBQ’s. An International Array of Shops & Restaurants are Just Moments Away. Welcome to the Sunset … The Ideal Waikiki Beach Hawaii Condo Vacation Rental Getaway Locale … Just A Short Stroll to the Sand … In A Spectacular Oceanview Setting Framed by World-Famous Diamond Head. Your Waikiki Beach Vacation Condo Resort Getaway features your choice of Spacious 1-Bedroom Condominium Suites that accommodate up to 5 Guests. 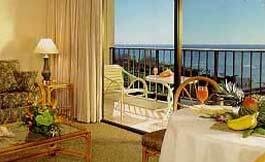 Or 2-Bedroom Hawaii Condo Vacation Rentals – All Corner Suites – that Sleep up to 6. All Linens & Towels Provided.